Disrupt your thinking. Expand your superpowers. Design the world you want to live in. 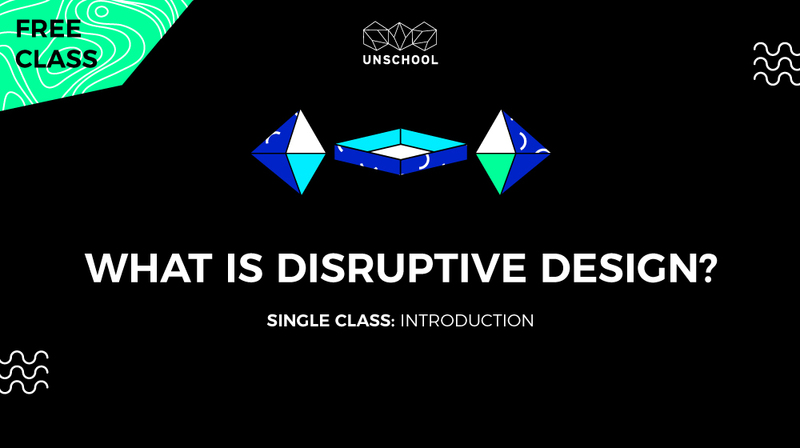 Learn how to get busy with changemaking with our FREE Disruptive Design Method introduction class. The Disruptive Design Method is a three-part process of mining, landscaping and building to help you make change in the world around you. This free introductory class helps you understand the core concepts and discover how identify your own pre-established thinking, restructure the relevance, and then build new knowledge. To help solve problems at a planetary scale you need 3-dimensional thinking tools. Our classes help you overcome reductionist thinking, and this introductory class will show you how to get started.